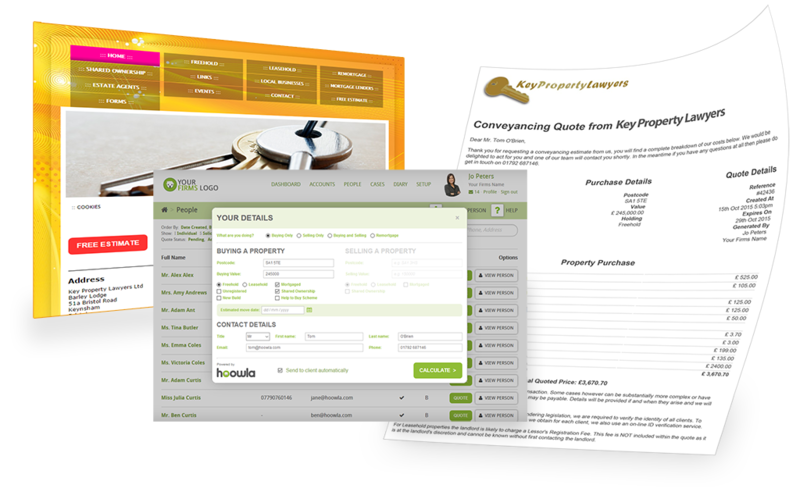 Key Property Lawyers chose to use Hoowla’s legal software to benefit their clients and save staff time. It has definitely had a positive impact on the firm. They installed Hoowla’s conveyancing calculator to empower their team to deliver instant estimates to clients and setup the calculator on their website to convert customers looking for conveyancing services. Hoowla’s legal software is being adopted by an increasing number of firms that understand the benefits modern technology provides. “We have been very pleased with the Conveyancing Calculator. The Hoowla team were very helpful in setting it up for us exactly how we wanted it, and integrating it into our website. The calculator is so simple to use and our clients benefit as they get an instant estimate, at any time of day or night. As a firm it has saved us time, as we know we do not have to manually prepare an estimate, an email copy is instantly sent to the client. It has definitely benefited our business.” Martin Barnes, Accounts Manager, Key Property Lawyers. Hoowla’s conveyancing calculator lets you create compliant, professional conveyancing fee estimations, all in a matter of minutes. It fit’s around your firm’s charging structure and your messaging and brand sits front and centre in your quotes. Hoowla provides software to the legal industry, developed in the UK using the latest technology. They help law firms of all shapes and sizes around the country to modernise their conveyancing offering, process more matters, improve communication and collaboration, reduce risk and manage compliance whilst providing a great customer experience along the way.